Using BitMEX in the USA? 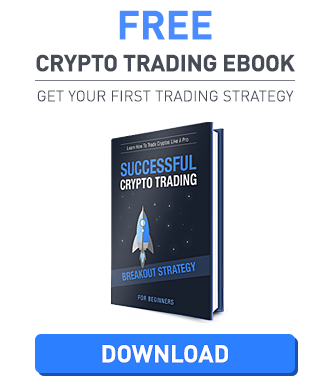 BitMEX Futures Trading – How To. Congratulations! You’ve found our beginner’s trading tutorial for Deribit.com! If you are reading this guide, then that means that you have already been through the website and now have an account with them; if you do not have an account yet, you will be able to create a quick one through this link. The website offers Futures and Options trading for Bitcoin alone and no other crypto to choose from. The next step would be to go through each feature of their trading platform and learn how to trade. Without further delay, let’s talk about that! Shown in the screenshot above is the Futures platform. We have color-coded the important aspects of the platform to let you guys be familiar with everything that is listed. 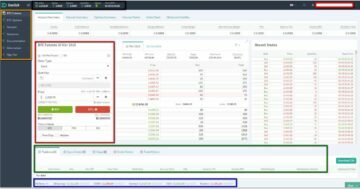 Black – Found on the very topmost part of the platform is your BTC view of the account showing the BTC Index (Current BTC Price Index), Equity (Assets), Cash Balance, Available Balance (Margin Balance or your Initial Margin), Account Status, Date and Time. Yellow – The Main Panel is located on the left-hand side of the platform. On this tab, you will be able to switch from Futures to Options with just a single click of a button. This panel also includes everything that you need to Account Settings, Insurance Information, Documentation, and Information (FAQ, Fees, Videos, and CS emails). Red – This is the main order box wherein the trader will be able to place Buy/Sell orders. This will include everything from Order Type, Quantity, Price, and a few features that will be discussed later in this guide. Green – Located under the main order box is where you will see your current positions, open orders, stops, order history, and trade history. This is the perfect way to track all activities made in the account. Blue – The allocated area for competition price shows everyone what the other website rates are. The data shows information on the current prices for Bitstamp, GDAX, Gemini, Itbit, and Kraken. The “Recent Trades” tab is pretty self-explainable and is color-coded with green (buy) and red (sell) for easy reference. This tab includes all orders that have been pushed through with a given specific time stamp together with the price and quantity of the order placed. The website also offers an alternative Chinese language option for our Chinese-speaking friends. A Futures Contract is an agreement to buy/sell BTC at a price for a specified time in the future. Here at Deribit.com, they offer “contracts” which is worth 10 USD each and you also have the option to choose Bitcoin instead of contracts. The Limit Order shows a selection of “Contracts” with the quantity below. This is the most popular trade order that goes through every exchange website today. The price shows the current limit price per contract and the system automatically calculate the buy/sell margin you get per order placed. Of course, the more contracts you purchase, the higher the number of margins you will be getting. 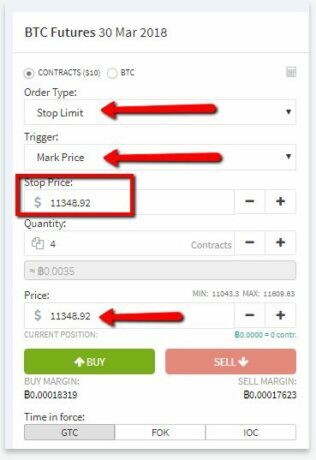 Stop Limit Order has fairly the same layout as the limit order tab but have a couple of important features that you need to take note of. First is the “Trigger” tab wherein you will be able to choose from Mark Price or Index Price. Literally, it triggers the order for you and choosing between the two options will go down to your preference. Of course, Index Price goes with how much the website is selling BTC while Mark Price is for people that want to sell BTC for the price they see is fair. The Stop Price is there for traders to input their “safety” net price on which they want to end the order. You can read more about Stop-Limit order through this link. 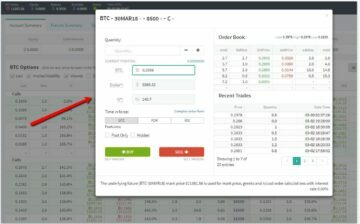 On both Limit and Stop Limit orders under Futures trading here at Deribit.com we’ve got what is called “Time in force” or your auto push-button that can be tweaked to what you want to achieve for the order. This feature is not native to Deribit since most of the trading websites today have this installed. Here they call “Good Till Cancelled” GTC, which is the default selection. When GTC is selected the unfulfilled order will remain in the order list until it is physically canceled. “Fill or Kill” or FOK is for traders that want to get the order pushed immediately and completely or never at all. Last but not the least is the “Immediate or Cancel” or IOC selection wherein an order is executed and any portion that is not filled will be canceled immediately. The website practices the European Vanilla Style of options trading and is pretty straightforward. 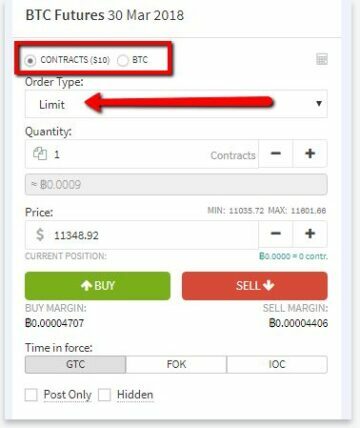 To buy/sell options all you need to do is click on any option listed on the BTC page and a popup box will appear to complete your order. The current position tab will include your standard order which is placed under the current price of BTC shown automatically on the “Dollar” tab. And below the dollar tab is the volatility of the order. Please be advised that the Dollar and Volatility tab values cannot be changed if you are under the regular options trading tab. The Complex Order Form is for experienced traders that want to tweak their order and edit the Dollar and Volatility values for maximum profit. In order to open the complex order form, all you need to do is click on the highlighted text on the screenshot. 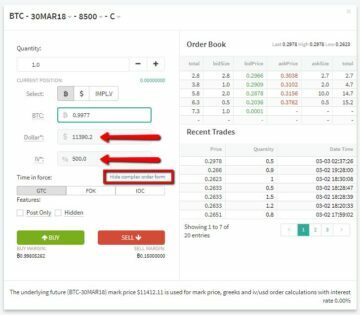 Just like their futures trading platform, options trading here in Deribit.com also contains GTC, FOK, and IOC features. Futures – The futures fee runs from 0.02% for the maker rebate and the taker fee is at 0.05%. This means that a maker does not need to pay for any transaction fees made in the website. Options – Options trading is 0.04% of the underlying contract or 0.0004 BTC per option. Deposits and Withdrawals – Please be advised that BTC deposits are credited after 1 confirmation on the network. The website does not charge any fees for deposits and though they have mentioned that there is a withdrawal fee, they failed to mention how much this would be. Enough said, now you should be ready to do your first trades on Deribit.com. The infomation on this website is not fiancial advice. This website is for entertainment purposes only. BestBitcoinBroker.net is not responsible for any losses that may happen by trading on these trading platforms. Trading carries considerable risk of capital loss. Dont invest more money than you can afford to lose! 73% of retail investor accounts lose money when trading CFDs.